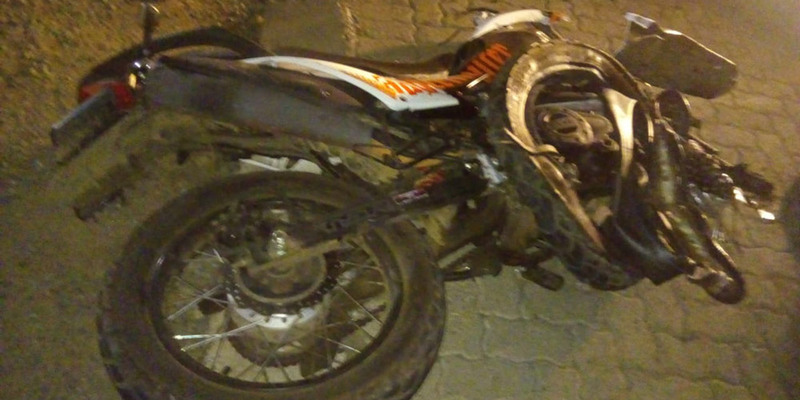 Riders Injured in Parys, FS - Motorcycle Safety Institute of S.A.
A male rider in his early 40s and his passenger in her late 40s were injured in an MVC on 7 October 2018 around 2:30 am following a collision with an LDV in Parys, FS. 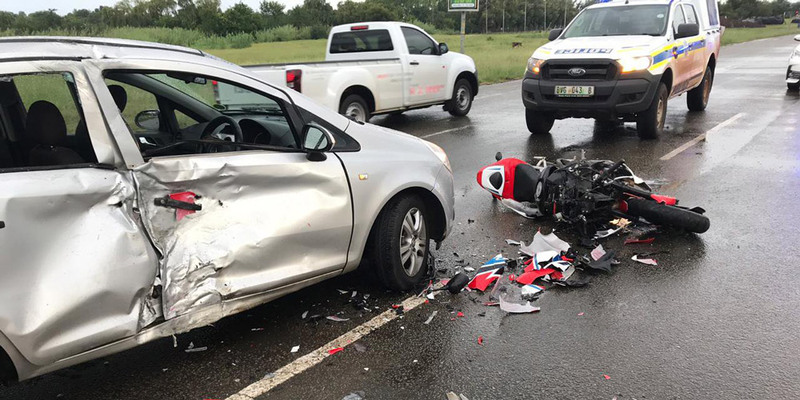 “On the crossing of van Coller and Bree Streets in Parys, a white bakkie jumped red robot and turned into the path of the motorcycle who had right of way. 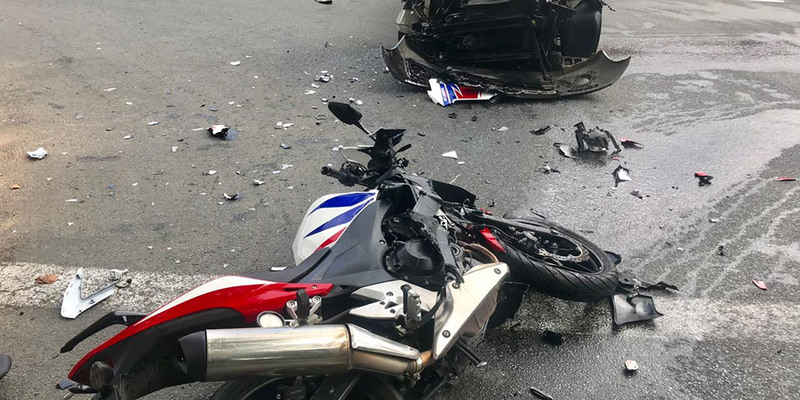 This resulted in an impact which threw both rider and passenger from the motorcycle. The bakkie raced off from the accident. The rider was able to stand up with his injuries and assess the passenger who could not stand up. A local ambulance service was first on scene and promptly put the passenger on spinal board to then be taken to Netcare in Vaalpark. Before leaving the accident scene Netcare911 arrived and took the rider to the same hospital after he ensured his bike was taken care of. Neither the rider nor passenger received pain medication on the scene. The rider was assessed and cleared of any serious injuries and suffered bruising and road rash on his lower back. The passenger was not so lucky. She broke her pelvis and a few ribs but does not need an operation to mend pelvis. 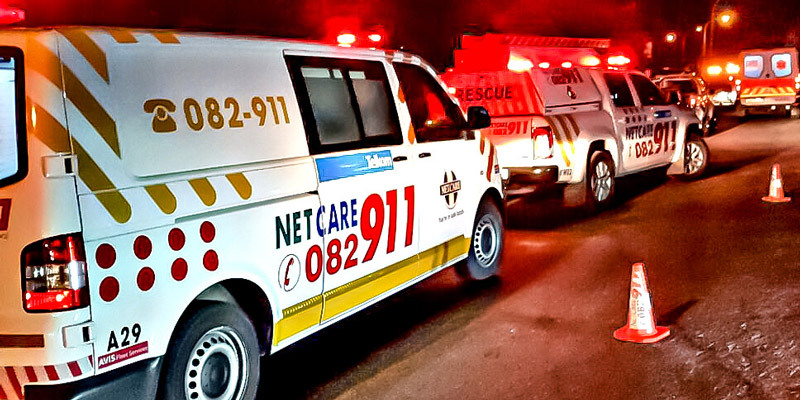 Both NetCare911 and a local private ambulance service were on scene to assist.